We J-Music LAB proudly introduce our new J-Music LAB mates from Taiwan and we will invite them to 13th Tokyo International Music Market (13th TIMM) held on October 24, 25 and 26! Kuo Xiao Xiao (郭曉曉) and Paul will come to Tokyo during TIMM dates and deliver you some hot J-Music news from Japan. Kuo Xiao Xiao (郭曉曉): Winner of “Family Mart ASIA COLLECTION BIG STAGE 2013”, Xiao Xiao secured a management deal with one of the biggest agencies in Taiwan; Eelin Entertainment. Xiao Xiao was interested in Japan from a young age, and always wanted to become a bridge between Taiwan and Japan. Her passion reached the likes of record labels in Japan, and was the first Taiwanese artist to sign a deal with Sony Music Records. 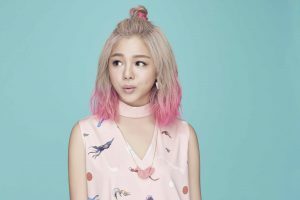 In 2015, her debut single “Follow Me” became the image song for Family Mart Taiwan’s ice cream, along with Xiao Xiao in the commercial. Her first EP “Follow Me” was released in June 2015. She was one of the casts for “KISS HOTEL”, a reality drama show that was a hit on Taiwan’s Chung T’ien Television, and Xiao Xiao became a household name. She is set to release her 1st full album in Jan 2017. Paul (founder of FB fan page “J-POP Oodoo 日本音樂王道”) was born in Taipei, Taiwan. As a TV producer for more than 15 years. Began to listen to J-POP music since early nineties, in the meantime he was producing TV tourism program for Taiwan CATV channel. So had business trips to Japan quite often. And loving Japanese pop culture, food and everything. 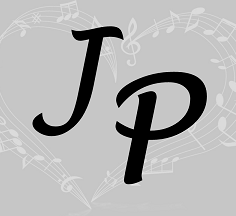 For the passion of J-POP music, he founded the Facebook fan page “J-POP Oodoo 日本音樂王道” in 2015. And also as the editor of the fan page “Onippon 日本芸能情報站”, which is introducing Japanese music, dramas, movies and pop culture for local people. Both fan pages have great influences in local social media.